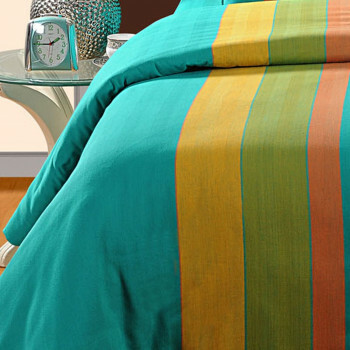 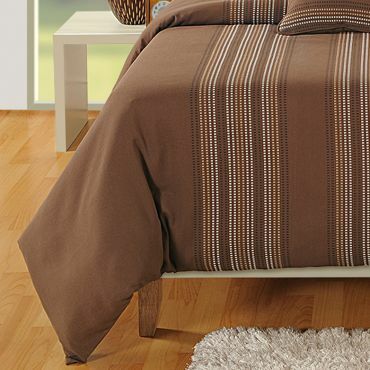 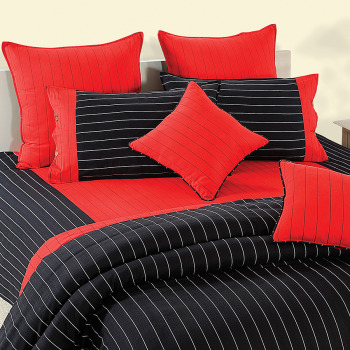 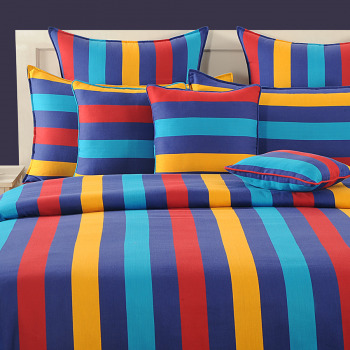 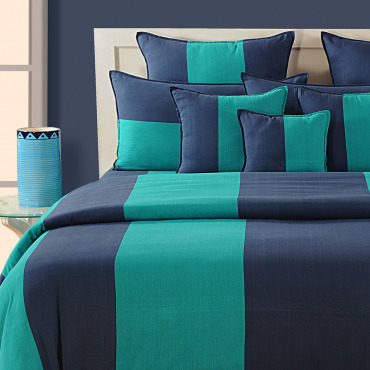 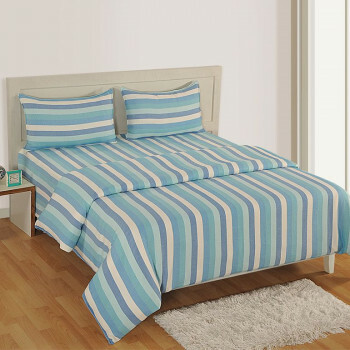 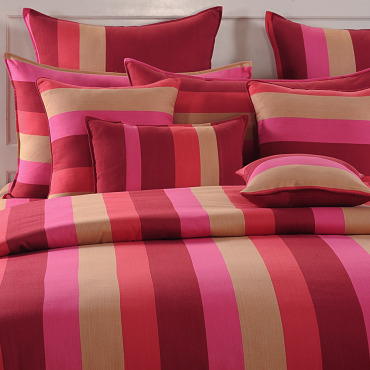 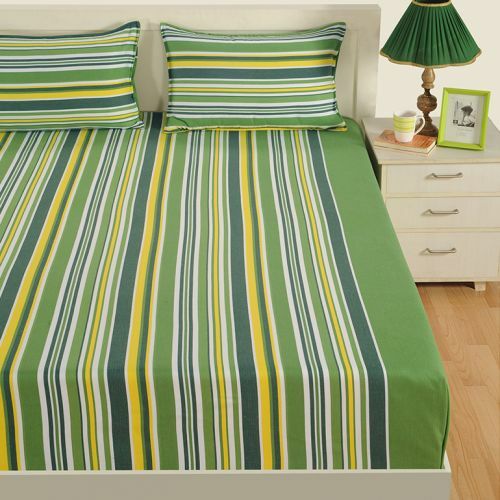 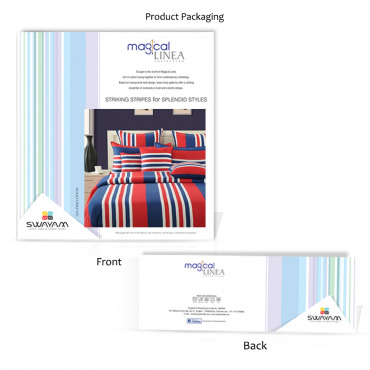 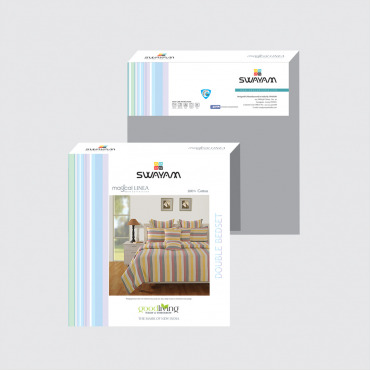 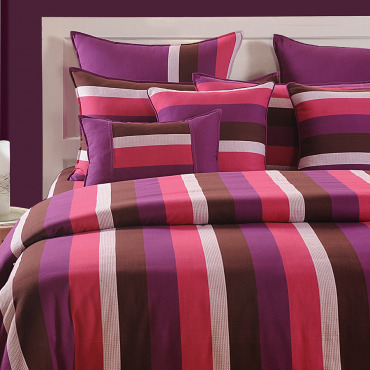 Wake up every morning feeling full of life, lively and rejuvenated in colorful stripe bed sheets. 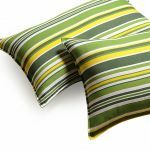 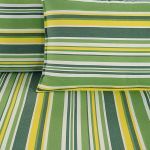 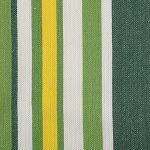 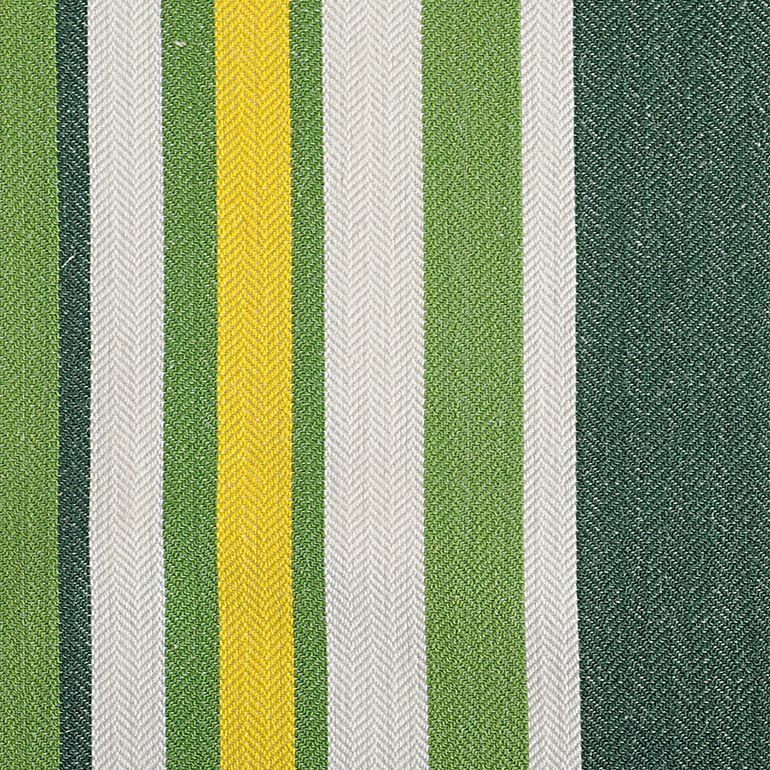 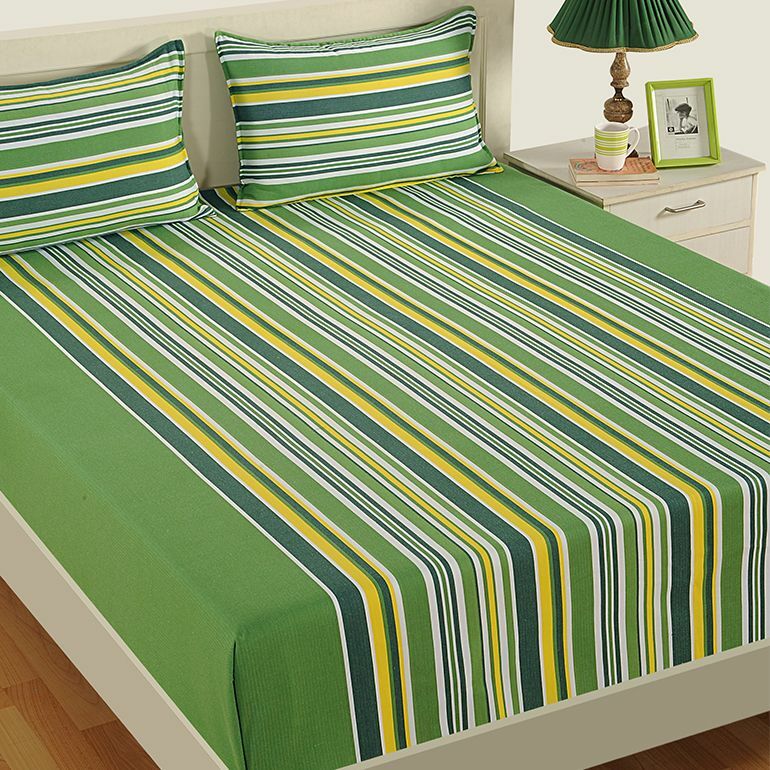 The luscious green and yellow stripes would add a doze of zeal and energy to the spirit of the sleeper as the lively and natural colours would spruce the mood and help you rejuvenate your stressed mind, body and soul. 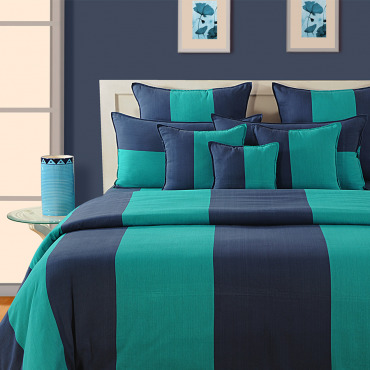 Both the stylish prints and cotton fabrics of the pure cotton bed sheets contribute to make it a quality product to own. 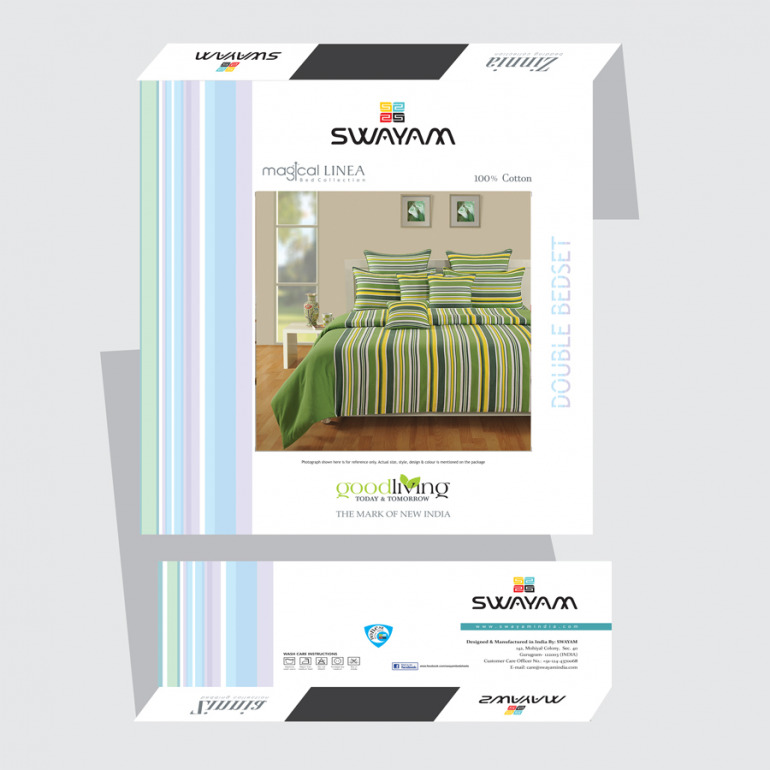 Buy Refreshing Aroma springs streams bed sheets exclusively from Swayam. 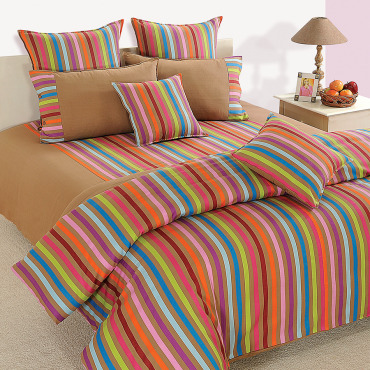 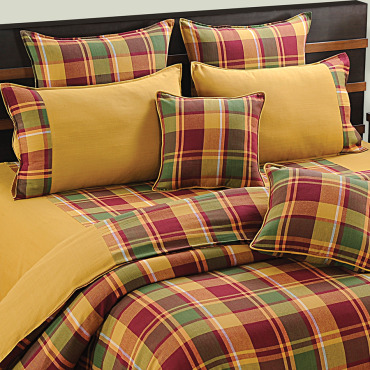 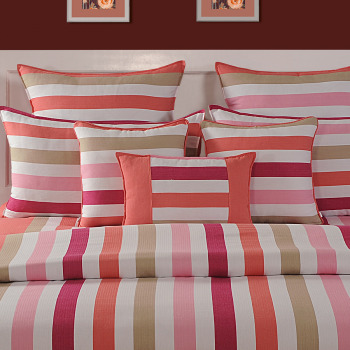 The matching cushions, pillows and comforters would enhance the beauty of the colorful stripes bed sheets. 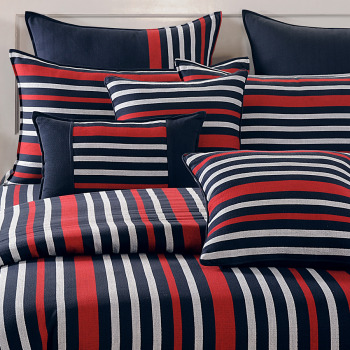 The white stripes add a touch of soothing element to the linens. 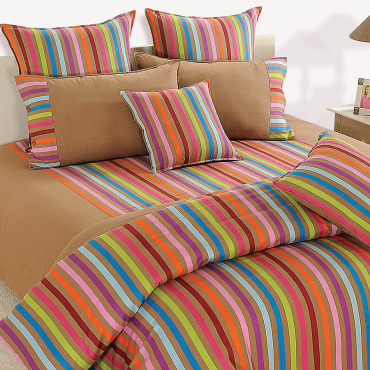 Keep the ends of the colorful stripe bed sheets open to give a fuller and lavish look to the furniture. 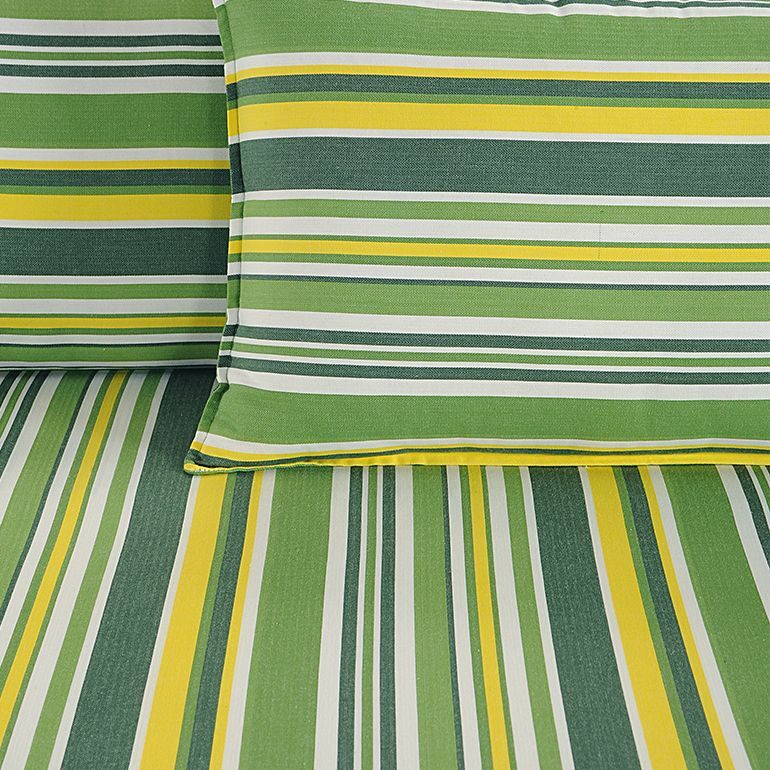 Care Instruction- Machine wash, Don’t Soak, Cold Wash, & Dry in Shade. 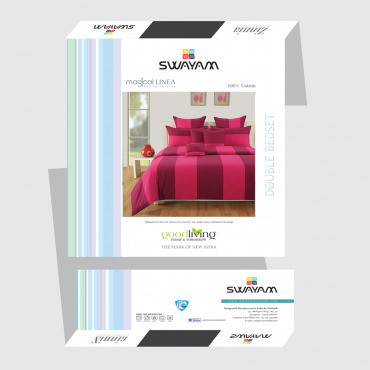 The pure cotton bed sheets are available 24×7 at www.swayamindia.com. Buy refreshing Aroma springs streams bed sheets swiftly as sale offers are available for a limited time offer. 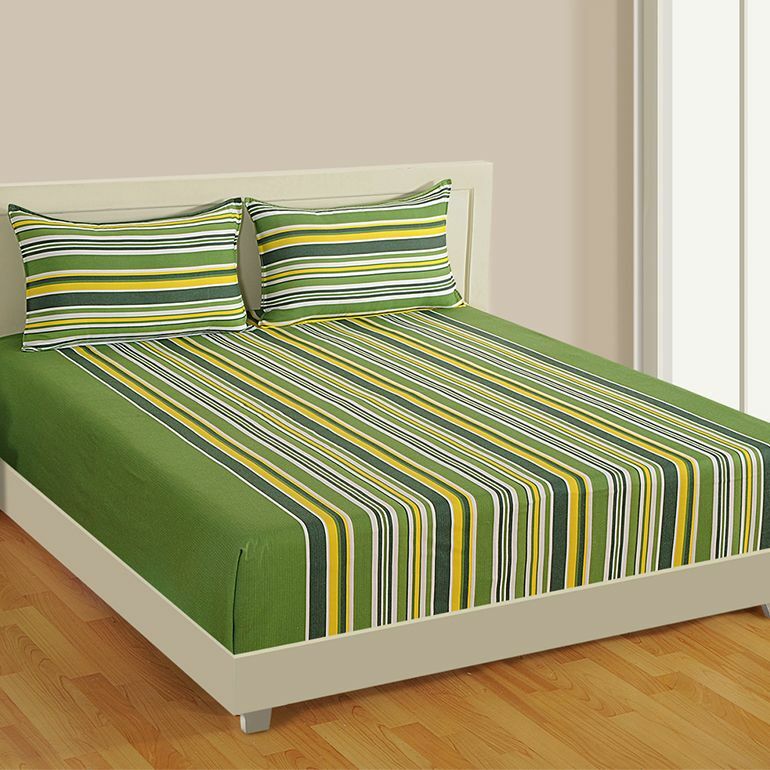 Pay online through net banking or cash at the time of delivery.